Maintenance Crew: Vernon Bryant, Darris Carlisle, Ernest Downing, Spencer Floyd, Donald Kelly, Joe Scott, Lewis Stringer, Judy Tillery. Our office is located at 601 Enzor Road inside the Recreation Center. 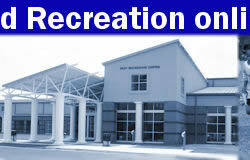 We are very proud of our recreation center, and we hope you will take time to visit and use the facility. Click on this link for more information about our facility. We have an outstanding Fitness Center and we encourage all adults and seniors to get in shape, exercise, lose weight, feel better about yourselves and work out with old and new friends. The Troy Sportsplex opened in the Spring of 1991 and continues to grow in size and popularity. The Sportsplex is located on the Enzor Road, off Highway 167 in Troy. Original construction of the 65 acres of Phase I included four softball fields with a centralized pressbox. Youth and adult softball leagues play regular season and tournament games at the Sportsplex, while baseball tournaments have also been played on the 285-foot fields. In 1995, the Sportsplex was the host of the Dixie Boys World Series. The tournament returned again in 1998, and Troy hosted the 2007 Ozone World Series as well. 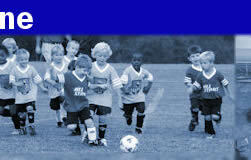 All fields are available for practices, but must be reserved in advance by calling our main office. In addition to the ballparks, the open space of the Sportsplex is very popular for a variety of outdoor recreation. Phase II of the Sportsplex opened in 1996, with four new fields and another state-of the-art pressbox. Two fields measure 200 feet in distance while the other two are 285 feet. Eight fully-automated batting cages also opened in 1996, offering a variety of baseball pitching speeds, as well as slow pitch and fastpitch softball. Land for Phase III was later purchased adjacent to the Sportsplex, totaling approximately 70 acres. A 1.1 paved walking trail opened in the summer of 2010, with plans to expand the length of the trail. The Troy Miracle League Field was a joint fund-raising project by the City of Troy, The Troy Lion's Club and many community and individual contributors. The rubberized safety-surface field opened in the summer of 2011, and is a field designed for children and adults with special needs to play baseball. The season runs during the months of April and May. The Miracle League Playground opened in September of 2013, and is located in the front of the Recreation Center, 601 Enzor Road. 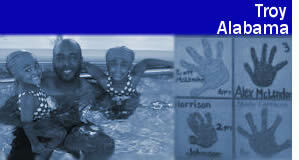 It is a universal playground for not only children of special needs, but all children of all abilities. The Sportsplex soccer fields will allow play for three full-size soccer fields or any combination of small and large fields. Located on Franklin Drive, Franklin Park consists of three baseball fields. Two fields are Dixie Youth, 200-foot fences, while the other field is 290 feet in length and plays host to all Dixie Boys league games. Three batting cages are also located at the parks. A playground is located between the two upper fields and is available year-round to the public. 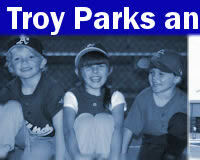 Franklin Park fields are available for Troy Parks and Recreation youth team practices only, and must be reserved in advance by calling our main office at 566-4031. Having opened in the spring of 2001, the Trojan Oaks Tennis Complex is a first-class facility providing 12 new courts. The facility is owned equally between the City of Troy, Troy University and the Troy City School system. Local tennis leagues and tournaments are available, with participation among men, women, seniors and youngsters. The tennis courts are open daily beginning at 10 a.m. M-F and 8 a.m. Saturday and Sunday. The courts close at 10 p.m. each night. The courts also play host to the TSU Tennis team and the Charles Henderson High Tennis team. The Academy Street gymnasium was renovated in 1993, with a new synthetic floor installed, new goals, new roof and a new heating system. Academy gym is the site of adult and youth basketball leagues. Teams wishing to practice must reserve in advance by calling 566-4031. Academy Softball Field is located off Academy Street and is available for team softball practices and pickup games, but must be reserved in advance by calling our main office at 566-4031. The Washington Street Park and Pool consists of a covered pavilion, an outdoor playground, an outdoor basketball court, and an outdoor swimming pool, open to the public. Located off Murphree Street, historic Murphree Park is a public park with a very large playground, picnic tables, a walking trail and a spacious covered pavilion. The walking trail is 1,888 feet in length, or roughly 1/3 of a mile. The pavilion is available for reserving by calling our main office. The Troy Sportsplex Walking Trail opened in August of 2010, with a second addition that opened in 2017. It is approximately two miles long, and offers a beautiful walk through the outdoors and wooded areas surrounding the Sportsplex. The trail is paved and free of charge. Parking is located at the top of the Recreation Center parking lot.